« We’re waiting for the Killer to get home. Judith, wife number seven, is telling me how best to get on with her husband. 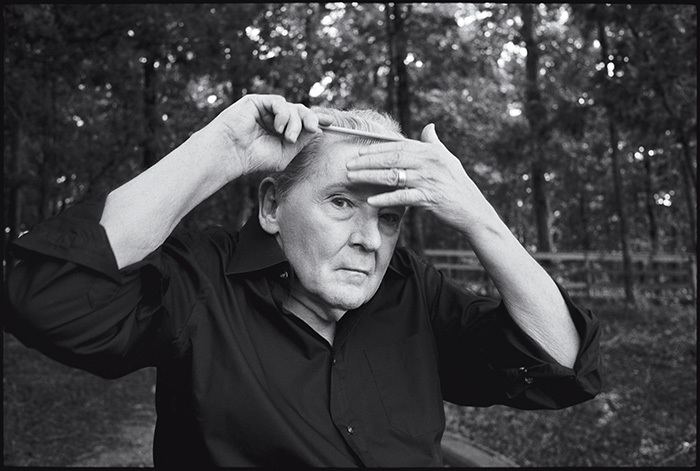 Jerry Lee Lewis, one of the founding fathers of rock’n’roll and reputedly the baddest of the bad boys, is known to have a temperamental side. There was the time he drove up to Graceland, drunk on liquor and high on pills, with a gun on his dashboard, demanding that Elvis come down from the house on the hill to prove who was the real king. And the time he shot his bass player, Butch Owens, in the chest, accidentally, he insists – Owens won $125,000 in damages. There were the two wives who died in tragic, some have said suspicious, circumstances. But this is the past, says Judith in her deep Mississippi drawl, and the past is a faraway country. » Ainsi commence un excellent papier consacré au vieux monsieur du sud profond (bientôt 80) qui s’apprête a partir pour sa dernière tournée anglaise. A lire ici. On savait, depuis la brillante biographie de Nick Tosches, que la vie de Jerry Lee était un roman. Par certains côtés, c’est aussi un film noir. Je veux parler des rumeurs concernant le décès de sa cinquième épouse retrouvée morte au domicile du rocker. Il faut lire cet article de Rolling Stone pour en savoir plus. Cet article, publié dans citations, Posts, Rock & Roll, est tagué Jerry Lee Lewis. Ajoutez ce permalien à vos favoris.